"Burgundy Smooth Leather Checkbook Cover" product is already in your cart. These burgundy smooth leather checkbook covers are meant for top tear checks. Check out the latest in burgundy smooth leather checkbook cover which comes with a set of functional amenities. The smooth leather checkbook cover has a set of internal linings that are matched with suitable fabric. The cover has an inbuilt writing shield for writing duplicate checks. There are even 4 slots for keeping credit cards, a pen holder and a window slot. 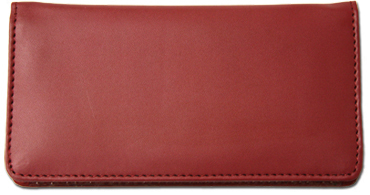 The smooth burgundy leather checkbook cover comes in a durable design that can last for years. There are other colors available than the black. 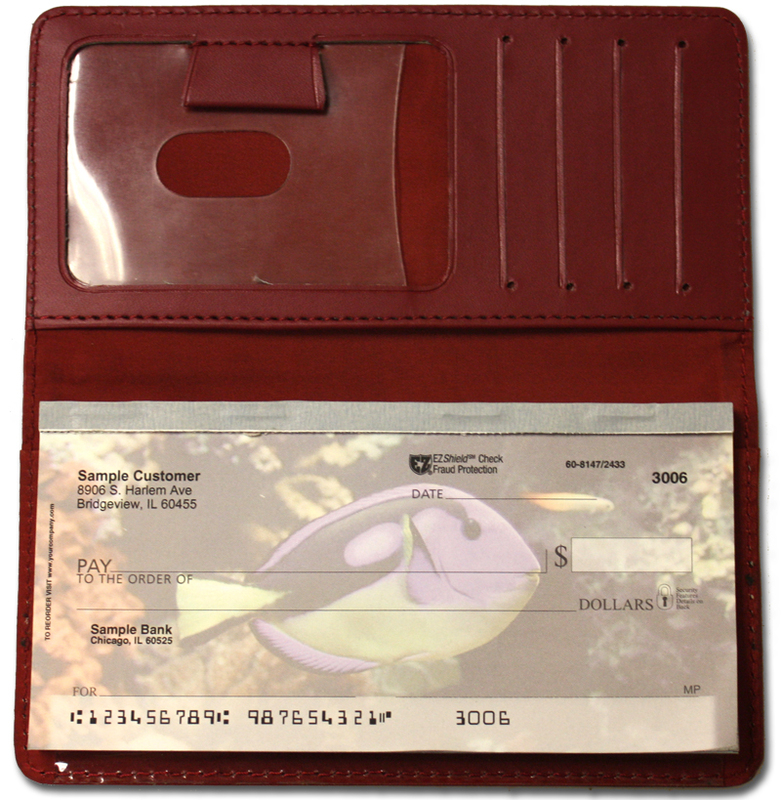 The burgundy leather checkbook cover is an ergonomic product that enhances your banking needs to the most.